To get admission in Navodaya Vidyalaya school student have to appear in JNVST exam each year for admission in class 6, 9 and 11. In this page, get all the latest information about the NVS admission 2019 here. Latest: Navodaya JNVST Lateral entry Class 9 Session 2019-20 Result declared. 11.1 How to fill NVS school admission application form? NVS had released notification in which they have announced the JNVST exam date for class 6 and class 9. After the student has registered through the application form, the next most important step is to download admit card. Student with hall ticket will be allowed to sit for the exam. So it is very important to know how to get admit card from the official site. To get more information about the exam hall ticket, click on the class wise link provided below. Jawahar Navodaya Vidyalaya Selection Test after successful conduct of exam released answer key online so that students and parents can check answer/question and if they are any objection in the answer stated by the NVS authority then they can raise an objection in the opened window after which there will be a reconsideration by exam authority. If there is any correction to be made in answer or question are wrong then it is being told through public notice and new solution paper is released. Check more information about the JNVST answer key 2019. Check previous year and expected JNVST cut off marks 2019 here. Check more detailed information about the JNVST merit list 2019 from here. Check more detailed information of JNVST Selection list 2019 & waiting list. Clearing JNVST exam is not easy as more than 30 lakh student appear for the exam and there are only a few seats available to fill in approximately 598 schools. For this purpose, we have prepared one article dedicated to how should a student start preparing for the JNVST on our site nvshq.org. Click on the link to read JNVST preparation tips 2019. Also as per our analysis in exam preparation, JNVST previous year question paper are very important as each year question paper follow the same pattern and a similar level of question type. Therefore, it is important that student solve previous year model and exam paper to get an idea of how to give an exam. For that aspirant can check our article on question paper and model paper with solutions. Check JNVST previous year question papers with solutions and model paper. The student should in their preparation to crack JNVST 2019, should study from the best book to clear the exam in one go. We have prepared the best jnvst book for class 6 and 9. Check List of the best book for JNVST preparation. Navodaya Vidyalaya Samiti (NVS) is an autonomous organization under the Ministry of Resource Development, Government of India. NVS runs a system of alternate schools for talented and gifted students of India called as Jawahar Navodaya Vidyalayas (JNVs). These schools were established to find the talented children from rural areas of the country and to provide them quality education so that they can compete without facing any disadvantages. All the JNVs are co-educational and fully residential schools. These schools are affiliated to CBSE. Every year NVS release application for admission of talented students from various districts of the states to class VI, IX and class XI. Admission to class VI and IX are made through a selection test called JNVST (Jawahar Navodaya Vidyalaya Selection Test). Whereas admission to class XI are done through lateral entry based on merit in class X. A large number of children from different states apply every year for admission to these schools. 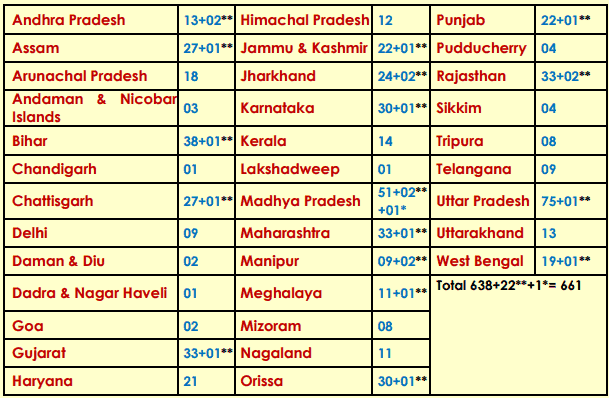 ** Additional special JNV and JNV sanctioned for large states having large population of SC/ST candidates. NVS notify students about admission to the new session through publicity in Doordarshan, All India Radio, NVS website, local news papers, pamphlets, regional offices, local Navodaya Vidyalayas etc. Application forms can be filled through the online mode. Applicants must read all the admission guidelines and instructions carefully before filling the application form so that they can avoid various problems that arises during the application process. All the applicants/parents are advised to keep all the necessary documents ready with them before filling the admission form. How to fill NVS school admission application form? Candidates/guardians can follow the given procedure to fill the application form. It is a general process to fill application for class VI, IX, & IX. On the homepage of the portal, they have to search for the relevant application link for the class they have to get admission in. On opening the application link, applicants are redirected to the registration page. Fill the required details such as email ID, mobile no. etc. After successful registration, applicants have to fill the application form. All the personal details, qualification details, and other information must be filled accurately in the form. Now they have to upload scanned copy of all the documents in the prescribed format. Once application form is filled applicants must review it. By clicking on the submit button application will be submitted. Lastly, candidates can take a print out of the application form for future references. Application procedure for admission to Jawahar Navodaya Vidyalaya is completely free. No application fee is charged from any of the candidate. All the candidates/ parents applying for NVS admissions are required to read the eligibility requirements before filling the application form. They must fill the application form only if they satisfy the eligibility requirements. Candidates must be from the district where the JNV has been opened. Candidate must be of age group 9 to 13 years (Applicable to all categories). Students must have qualified class V from a recognized board. Candidates should have not appeared in JNVST test earlier. Candidates must be of age between 13 to 16 years as on 1st May of the year of admission (for all candidates). Candidates must have studied class VIII from govt./ Govt. aided recognized school. Candidates must be of age between 14 to 18 years as on 1st July of the year of admission. Must have qualified class X from a recognized board. Must have reasonable competency in English and Hindi. Every year NVS release application for admission to class VI, VIII and XI. Admission to NVS are mainly done on the basis of selection test and merit. Admission to class VI and class IX are made strictly on the basis of an entrance test class Jawahar Navodaya Vidyalaya Selection Test (JNVST). All the candidates who wants to get admission to JNVs has to appear and qualify JNVST. After the completion of entrance test, conducting authority invite the selected candidates for document verification and finally, admission made to the respected school. No selection test is conducted for admission to class XI. Admission to class XI in JNVs is done through lateral entry. Candidates are selected on the basis of merit which is prepared on the basis of marks obtained by the candidates in class X. Selection test is conducted at the various Navodaya Vidyalayas established across the country. Candidates are usually assigned the same Navodaya Vidyalaya of the district for which they have filed the application as the test center. No request for change of exam center is accepted under any circumstance. All the selected candidates are required to report the allotted school for verification of all the certificates and documents on the specified dates. Age proof- Birth certificate for class VI & IX and for class XI, mark sheet of class X is considered as age proof. Relevant certificate if candidate apply for admission under Rural Category. Relevant certificate if candidate apply under transgender category. NVS has a unique feature under which it allows migration of NVS students from area to another. Under this scheme, 30% of students from one Navodaya Vidyalaya of a linguistic region are migrated to another JNV of different linguistic region at class IX so that they understand the diversity and plurality of Indian culture. Migration is usually done between Hindi speaking to Non-Hindi speaking regions. In case the selected students or their parents refuses to migrate to other state then they will not be allowed to continue their studies in JNVs. This unique feature of migration of students in NVS is to promote national integration that basically follows a three language formula. The three languages include Hindi, English and Regional languages. The third language in Hindi speaking regions is the language of migrated students and vice-versa. This language is compulsory for all. Marks obtained by candidates in the selection test are not communicated in NVS admission process. There is no provision of re-evaluation of answer books. Parents must be present at the allotted school with their wards for the verification of documents. Two final notices are sent to them through the registered post. If the selected candidate does not report for certificate verification even after two reminders than regional office will release the wait list. Admission process to class VI through the main list is usually completed by 30th June and to class XI by 15th July every year. 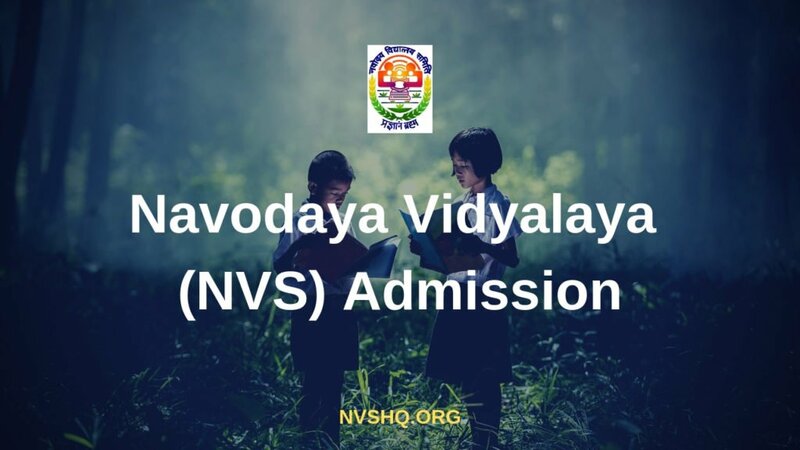 NVSHQ is dedicated to providing all adequate and relevant information for getting admission in Jawahar Navodaya Vidyalaya. So bookmark us to get all nvshq.org update from here. You can also press bell icon to receive direct notification update on your smartphones. After CBSE 10th Result Announcement. Abhi aaya nhi h result. May month me aaiga. Sir main apni beti ka registration no bhul gaya hun or registered mail id or mobile no. par bhi registration no nahi mil raha he. kal uska exam he. pls help me to download admit card. registration no kese pata chal payega. Registration number apki Emial ID aur phone number pe aaya hoga. Vaha check kariye. Abhi aai nhi h answer key. Jab aa jaigi tab hum yaha upload ker dege. Date of birth is password. My daughter has allotted Roll No. 1529412 Vaishnavi D/o Niranjan Dev resident of village Nandla P.O.Jangla Tehsil chairgaon District Shimla. Centre for examination alloted by your agency at Kawar which is in Tehsil Dodra Kawar (Tribal Area) about 150 k.m. from Chairgaon. These days road has closed due to heavy snow fall. The roads will open on last April/May. There can be reached only by helicopter. There is no other road for reach. Sir how my daughter can appear in the entrance examination on 6th April. My request is please change her centre at Chhohara at Chairgaon or Rohru. Sorry sir, We can’t change the examination center. Sir, I have filled the application for class 6, while filling I have selected incorrect photo and I have submitted the application. So now I have got admit card with other photo, what is the process to change the photo, the exam date is 6/03/2019. So I request you to please let me know what are all documents to take to attend the exam. Please contact official authority or examination center. We can’t help you. class V nayodya ka registration no. kho gaya he. Class IX ke admission ke liye diye hue test ka result kb tak aaega. Needs a support from your end. problem is that I have lost registration number for 6th class admission and also dont have updated any e-mail id at the time of registration. Kindly look into this and do the needful. We applied for 6th class navodaya entrance test 2019.but we missed registration number so we are unable to get admit card. we unable to download admit card. Please help me. Please Check your registered Email inbox (specially Spam box) and phone number. Registration number will be there. Dear applicant you have not submitted the registration form along with vth class detail. Sir,How to get forgot registration entrance exam 2019? My friend daughter applied for 6th class navodaya entrance test 2019.but we missed her password so we are unable to get admit card how to resolve this problem please help me sir. Password is your date of birth. My friend daughter applied for 6th class navodaya entrance test 2019.but we missed her registration number so we are unable to get admit card how to resolve this problem please help me sir. Please check your registered Email ID (Check Spam box too) and Phone number that you filled in the application form. Your Registration Number will be there. Logged in to the application successfully. But I am having only the Application Details tab inside and no hall ticket tab. Why is this so. When will the admit card of PGT 2019 recruitment release. Sir I lost my son’s all data I.e registration number . for Class Vi held on 06 04 2019. Then contact them here “Navodaya Vidyalaya Samiti, B-15, Institutional Area, Sector 62, Noida, Uttar Pradesh 201307”. Hello sir plz help me ….id lost hogyi password remember aa mobile nu 8284943043 plz plz plz ??? Sir password is date of birth. Use date of birth as password. Sir, I lost my registration ID Please help me in this regard.How could I get that. Jnv samiti when will be the result of lateral entry exam class 9 will be released?? Sir,jnvst class9 2019 ka result kab aayega .sir plz mere number par answer bhej dijiye. There is a problem at my payment portal i have already made a payement transaction no. – DUA9179102. Amount is deducted from my bank account but it is still showing payment balance in my Nvs Account, my application ID is NVS207637. Namste, I am pooja. I want a vacancy for a staff nurse requirement in JNV. Kindly send me your phone number . My sister is studying in x class . I want to know how she get admission for class XI? When the application form will open? How many questions in class vi entrance exam? I have lost my son’s 6th registration no. How can download admit card. when we get admit latter for class 6 ? Form Oct-Nov me online aate h.
In jawharnavodaya maddirala…still not given uniform to the students during the year2018-19.may be this year going to complete in in the month April. I am feeling whereally the trouble is happening. ..